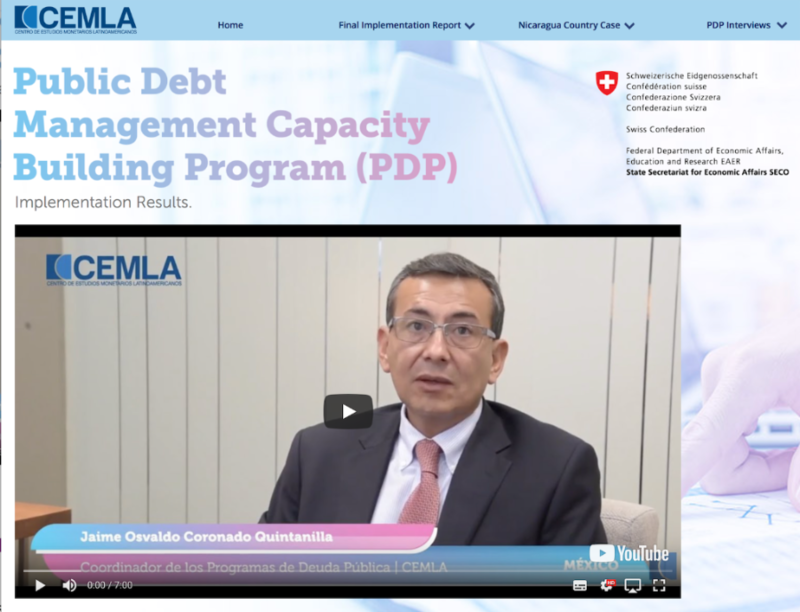 After five years of successful implementation, the Public Debt Management Capacity Building Program (PDP) of the Center for Latin American Monetary Studies (CEMLA) and funded by the Swiss State Secretariat for Economic Affairs (SECO) has concluded with the evaluations performed in 2018. Two evaluations were carried out: 1) a general of the PDP as a whole, and 2) a specific for a country selected by SECO and undertaken by an independent expert. Both evaluations highlighted the outstanding results achieved by the Program from the beneficiaries’ perception. The aforementioned evaluations together with the outcomes, outputs, activities, and performance indicators established to measure the progress of the Program, are portrayed in the final report: Implementation Results, Public Debt Management Capacity Building Program (PDP).